When a child and their grownup “Step into a Story” ® at Treehouse Museum, they are learning together through exhibits and especially through our outstanding programs. 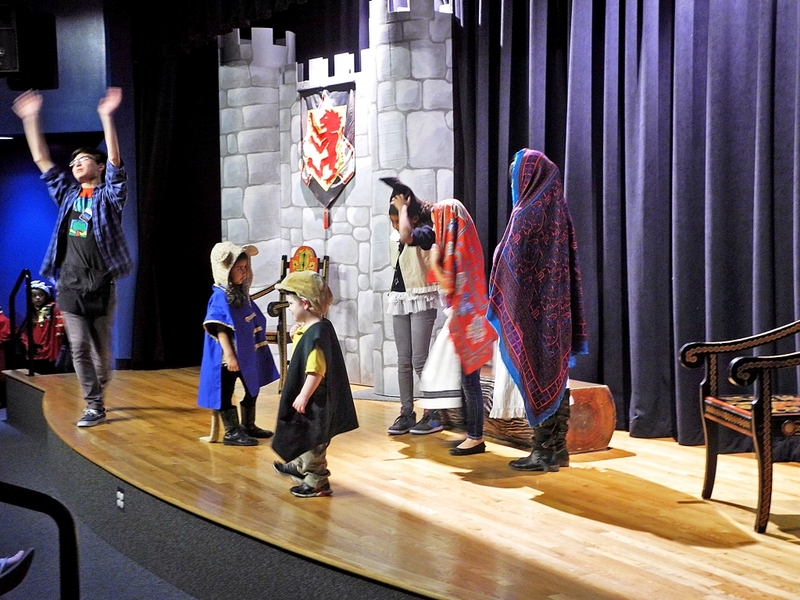 Every day families can create art together in our colorful Art Garden, step on stage in our Simmons Storybook Theater through what we call a “ParticiPlay®” where children don costumes to help retell a fairy or folk tale for other children and their adults. Parents and children can team together to make stop motion movies, create superheroes, see what floats in the Wind Tube, and more. Staff and volunteers offer daily games and activities to our visitors, too. There’s always something growing on at Treehouse! Throughout the day Treehouse staff and volunteers share stories, lead exhibit discovery activities, offer games, and more. These informal activities are announced as they happen, and visitors are invited to participate as they like. However, in addition, Treehouse offers even more daily programming, all free with the price of admission. RAMPed Up Art in the Treehouse Art Garden features fun art projects inspired by the illustrations and stories of children’s literature. Projects use a variety of mediums – paint, clay, collage, chalk, pastels, watercolor and paper – an exciting way to further explore popular and classic children’s books. Treehouse also offers two Family Literacy Programs each week designed to reinforce children’s literacy skills. And, thanks to generous sponsorship from the Ralph Nye Charitable Foundation, the Stewart Education Foundation, the George S. and Dolores Doré Eccles Foundation, and the Marriner S. Eccles Foundation, admission is reduced for visitors. On Track to Reading is Treehouse’s wildly popular early childhood education program just for visitors age 1 to 5. Engaging toddlers, preschool-aged kids and their grown-ups in stories, songs, crafts and more, On Track reinforces pre-reading skills designed to get children ready for school. On Track to Reading Mondays are the perfect time to bring young children to the Museum as Treehouse does not schedule any school groups during the program and the reduced admission lasts all day. On Track to Reading Story and Song Activities are at 10:30 a.m., 11:15 a.m., and 1 p.m. Please note that On Track to Reading is not held on Labor Day, Mondays during Winter and Spring break, MLK Jr. Day, President’s Day, Memorial Day, or in the summer. On these days, regular admission rates apply and the Museum is open 10 a.m. to 5 p.m.
Fridays from 6 until 8 p.m.
On Friday Nights at Treehouse, families with children of all ages can get a taste of Alphabet Soup and finish it before bedtime. 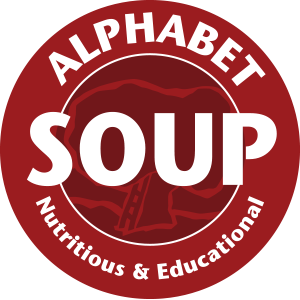 This popular program focuses on a different letter of the alphabet each week with a recipe for family literacy that always includes stories and songs, theater and art, and is often flavored with science, history, vocabulary development, and more.